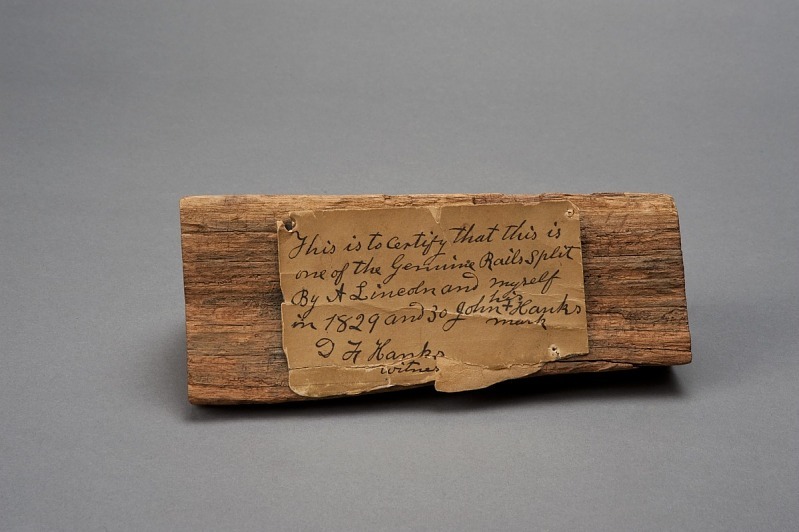 People once collected pieces from the places they visited. Whether collected as a matter of historical record, or to commemorate a personal experience, these objects would likely have been lost in time if not for the accompanying notes that explained their significance. The objects in this case arrived at the museum with their labels already written. This fence-rail piece is one of the many souvenirs made for the friends and supporters of presidential candidate Abraham Lincoln. This particular piece is attributed to Lincoln’s cousin and rail-spitting partner, John Hanks. Dennis F. Hanks (another cousin) sold it at the Northwest Soldiers’ Home Fair at Chicago in May 1865, a little more than a month after Lincoln’s assassination. Dennis Hanks wrote the label for each fence rail for his illiterate cousin John Hanks, who added his X as an affidavit. The objects seen here are souvenirs collected by Abby Knight McLane and her husband Allen McLane. The well-traveled couple is thought to have personally gathered the collection, which represents the kind of curio-cabinet collecting that occupied many Americans in the late 1800s. 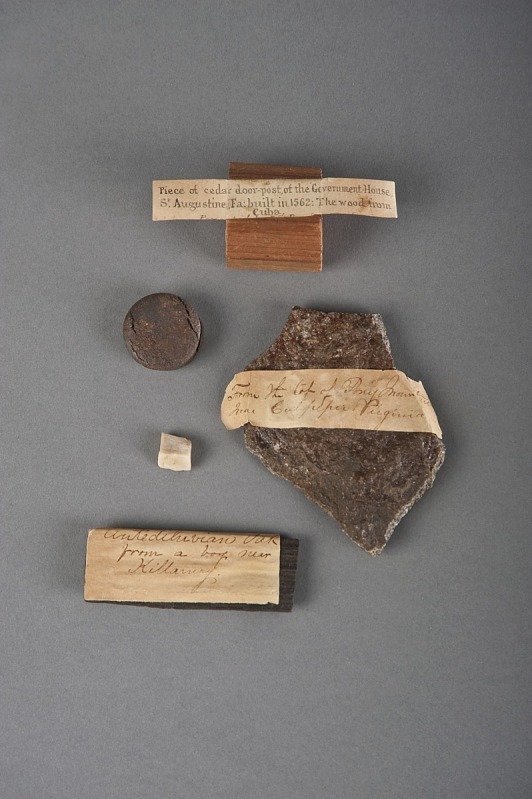 Though each piece is unique, McLane’s souvenir collection is a typical mix of found objects and items with historical associations: a piece of a cedar doorpost from Government House in St. Augustine, Florida; a stone in the shape of an arrowhead from Mount Pony, near Culpeper, Virginia; “antediluvian oak” from a bog near Killarney, Ireland; a small white stone from the ruins of Pompeii, Italy; and a round metal fragment of the HMS Great Britain, the ship used in the laying of the Atlantic Cable.